By eating real, whole, delicious food, I've put my autoimmune disease into remission and weaned off of prescription meds. I'm pursuing an M.S. 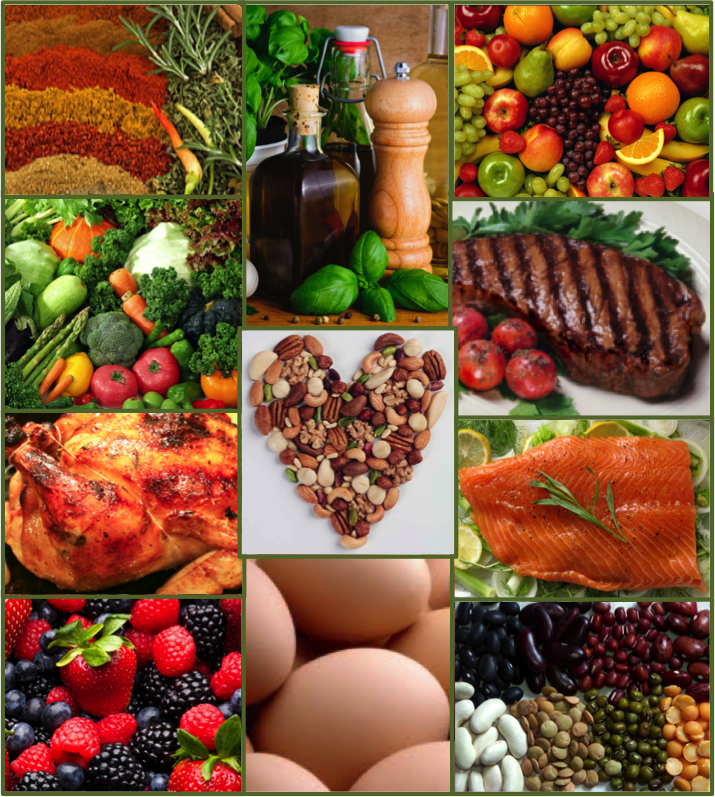 in Holistic Nutrition, I've studied food and cooking for decades, and I've run my own catering business. My goal is to help you understand how to support your health, pave the road back to the kitchen, and see for yourself how real, whole, delicious food can completely change everything. I used to be an engineer and then I became a stay-at-home-mom. I love good food, and throughout these years, the kitchen has always called to me. I attended courses at the Culinary Institute of America, L’Academie de Cuisine, and specialty cooking classes in Boston, Savannah, and Virginia before building my own catering business. But over the decades, my Ulcerative Colitis (UC) kept slowing me down, and in 2012 it brought me to a complete halt. After 30 years on UC meds, even steroids stopped working and I was now terrified, facing monthly immune-suppressant I.V. injections for the rest of my life. Questioning conventional wisdom, I switched to an Integrative M.D., crossed my fingers, and pursued a dietary approach. Amazingly, within one month, my UC symptoms disappeared! A later setback (due to heavy antibiotics for Lyme) motivated me to go full-tilt with the Specific Carbohydrate Diet, an amazing gut-healing protocol. As I healed, I also noticed improvements in my sleep, mood, energy, and weight. I had no idea these were related to gut health! With growing curiosity, I immersed myself in conferences, lectures, and research by leading experts in food, nutrition and health. Fully intrigued and committed, I then decided to pursue an M.S. in Holistic Nutrition. The more I learn, the more I realize that diet is as much about preventative medicine as it is about healing. My husband and kids soon began to clean up their diets as well! Read my full story here. Owner of Colo Kitchen Nutrition: Nutrition consulting, clean meals for busy families, cooking sessions, kitchen support, and other services to help you transition away from inflammatory foods and towards a nutrient-dense, real, whole food diet. 2013-present. Founder of Food For Thought Initiative: A group of Loudoun County parents working to encourage our community to reduce the consumption of sugar and chemicals, while moving towards real, whole, non-processed foods. 2014-present. Owner of Colo Catering: Catering & meals for busy families. 2010-2013. Culinary Institute of America, Greystone: Career Explorations, St. Helena, CA. 1998. L'Academie de Cuisine: Sauces; Dressings & Gravies; Chocolate Making, Bethesda, MD. 2006-2007. Specialty training: Personal training by chef/owner of Caraway Cafe, Savannah, GA. 2011; Specialty Cheese-making classes in Boston, MA. 1995. Nutrition conferences: The Future of Nutrition Conference, 2014; The Gluten Summit. 2013; Reversing Diabetes Summit, 2014; SIBO SOS, 2017; and several others. Books: The Unhealthy Truth, by Robyn O'Brien, Salt, Sugar, Fat, by Michael Moss; Digestive Wellness, by Liz Lipski; Natural Detoxification, by Krohn & Taylor, and countless others.